Taking its inspiration from famous American dune buggies, it will use MEB Platform. Remember an open-top, lifted buggy with Santa Clause driving it, we shared with you in December last year. 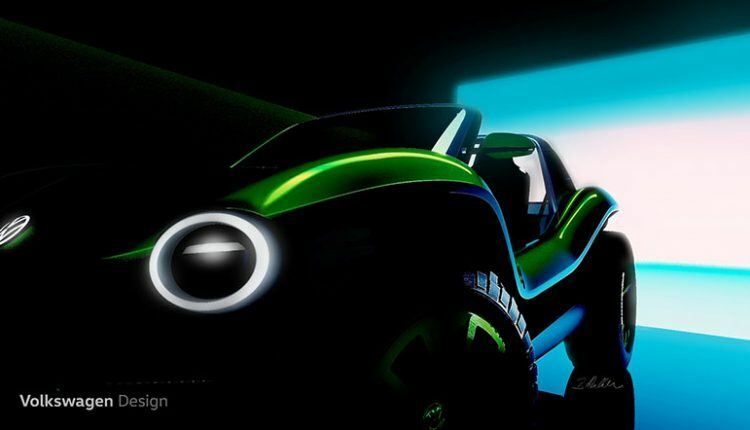 Well, a dune buggy concept is coming and that too in electric form. 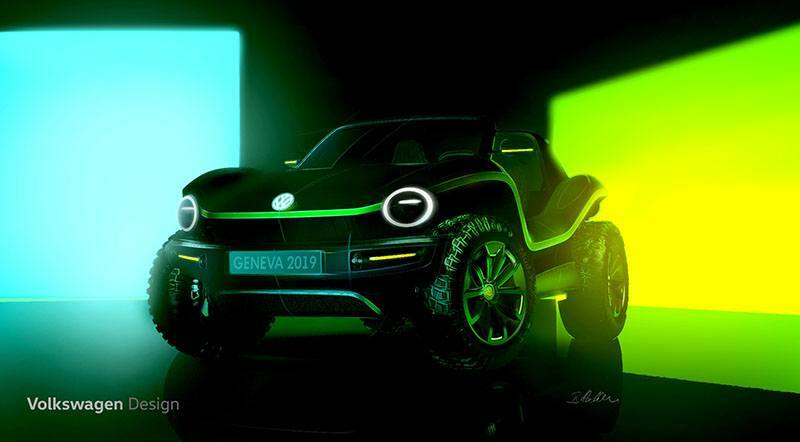 Volkswagen plans to display it at the 2019 Geneva Motor Show in March. 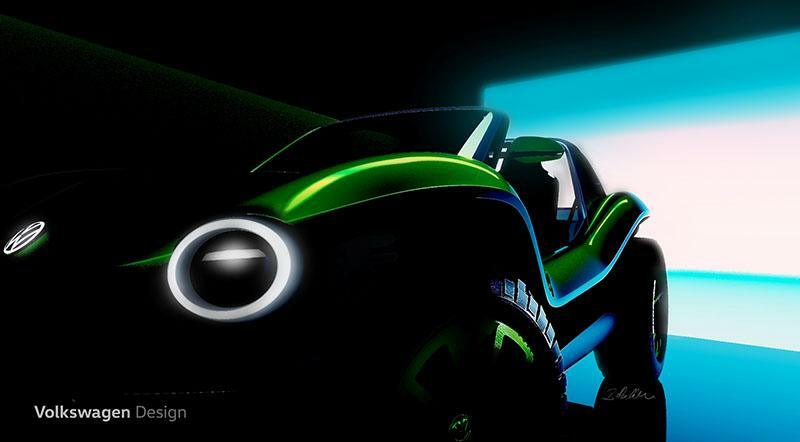 Taking its inspiration from famous American dune buggies, it will use the modular electric drive matrix (MEB) platform. The MEB is a versatile platform with batteries placed in the middle for rigidity. The electric motor is at the rear and we will see large wheel arches, monster wheels and off-road tires, and round Beetle-style headlights. The teaser images show no doors and no roof, and these are what make it fun to drive on the beach. We are not sure if this will go into production. We have to wait till the 89th International Geneva Motor Show. Volkswagen will unveil it during a press conference at 10:20 am in Hall 2 on March 5.